Hahahaha, oh hilarity… but all immaturity aside, this is for nail-painting. That`s the way they sell them in Canada. 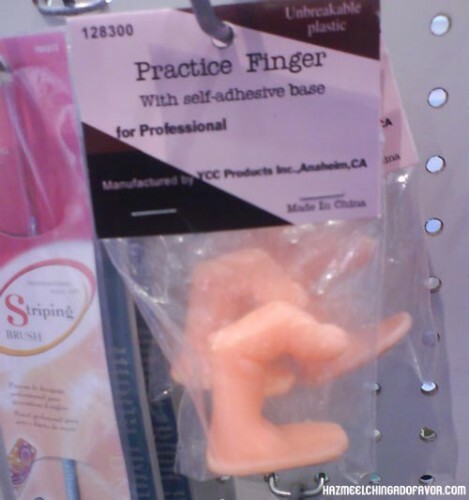 In Canada, practice fingers come in bags. or wash up on the shore. wait, thats feet. They’d make cute bathroom hooks.